Hummingbirds are graceful birds known for their small size and darting speed. These delicate creatures are named for the humming sound their wings make. There are over 300 species of hummingbirds from the smallest Bee hummingbird that is only 2.25 inches long to the Giant hummingbird which measures approximately 8.5 inches in length. Here are some interesting facts about hummingbirds. Although hummingbirds are quite small, they are highly adaptable and intelligent. Their brains are actually quite large in comparison with their overall body size. Their feathers are made up of a vast array of colors that help them blend in with their surroundings. 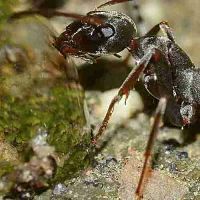 Their great speed also acts as a defense mechanism, allowing them to escape predators. Their wings move very fast at approximately 60 to 80 times per second. Hummingbirds can fly at approximately 30 miles per hour. 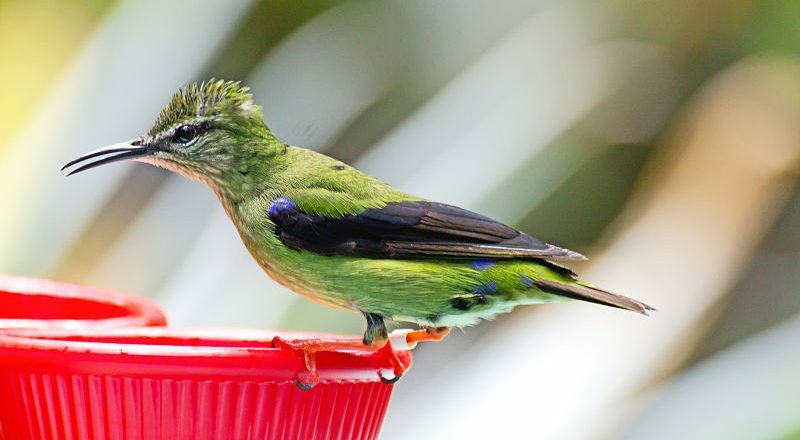 They have long beaks and a forked tongue with grooves on it that assists them in consuming nectar and other food. The weakest part of a hummingbird’s body is its feet. Hummingbirds mainly use their feet when perching since their feet are weak and not strongly suited for walking or hopping. Their vision is excellent, however, and they have little to no sense of smell. Hummingbirds have an excellent memory and can remember the flowers they have visited. The typical lifespan of a hummingbird is 3 to 12 years. Hummingbirds are not very social and prefer solitary lives. They are also territorial and quite aggressive. Males and females establish their own territories and females will keep a male away from her nest because his bright coloring could draw predators to the presence of her offspring. Hummingbirds are very clean and love to bathe and groom themselves. Hummingbirds feed on the nectar of flowers. Nectar contains the amount of sugar necessary to provide hummingbirds with adequate energy for their high metabolism. In order to get protein and other nutrients, hummingbirds consume other food sources such as pollen, tree sap and insects such as gnats and spiders. Hummingbirds need to eat frequently due to their high metabolic rate and may do so as many as 5 to 8 times an hour. Hummingbirds are found in the western hemisphere. They inhabit woods and forested area as well as grasslands where there are plenty of flowers. Hummingbirds will stay in warm areas where there is plenty of food to eat. Although some species of hummingbirds will migrate, most do not. There has been a decline in certain species of hummingbirds due to loss of forest habitat. Most species of hummingbirds are listed as vulnerable, threatened or endangered. During mating season, males will do a dance that involves puffing out their chest and throat to display their plumage while tossing their heads from side to side. Males will attempt to draw the attention of females with feats of diving that involve first flying upward then diving down at top speed. The males will also use a variety of chirps and sounds to entice a mate. The female hummingbird will perch and spread out her tail feathers. Sometimes she will choose her mate by leading him to the place where she has constructed her nest. A female lays one to two white colored eggs about the size of a jelly bean. The eggs will hatch in approximately two to three weeks. Hummingbirds sleep in a state called torpor which is similar to hibernation. During this deep sleep, their metabolic rate, body temperature and heart rate drop. Their breathing becomes slower allowing them to conserve energy. In this state, they can appear dead and have even been observed hanging upside down. It takes approximately an hour for hummingbirds to fully recover from torpor and those that are weak may die. Once hummingbirds awakes from their deep sleep, the first course of action is to locate food and replenish themselves by eating. Hummingbirds can be a joy to watch and you can attract them to your backyard with plenty of food and appealing surroundings. You can attract hummingbirds with several feeders placed fairly high, as well as a bird bath and the right plants. 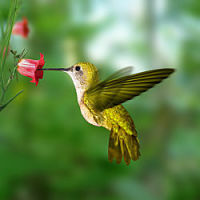 Hummingbirds are attracted to several plants such as honeysuckle, trumpet vine, azalea, morning glory, mimosa, columbine, impatiens, cardinal and petunia. Hummingbirds are also attracted to bright colors such as orange and red. These small visitors will frequent areas that provide a fresh supply of small insects for them to eat. Once they become familiar with you and your backyard, you can enjoy their company on a regular basis. 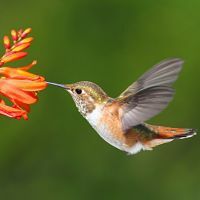 Hey Buddy!, I found this information for you: "Interesting Facts About Hummingbirds". 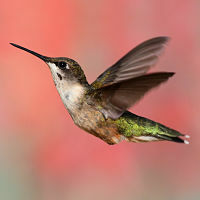 Here is the website link: http://backyardbirdingblog.com/interesting-facts-about-hummingbirds/. Thank you.